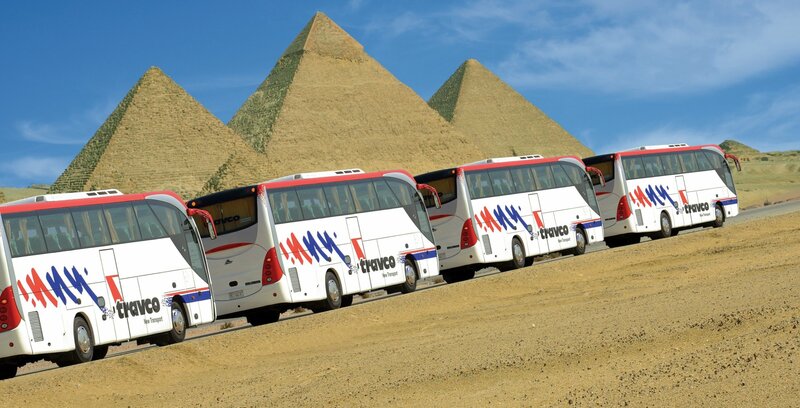 With a fleet of approximately 1000 vehicles, Travco's transport services bring the ultimate comfort in transportation to business and leisure travelers no matter where they choose to go in Egypt. The service ranges from state-of-the-art coaches to luxury limousines of various sizes and models. All vehicles are dispatched and controlled through the computerized central reservation system installed at Travco's service branches located in all major cities. To add to the security features, buses are equipped with GPS tracking systems so that in the unlikely event of a breakdown, a backup bus is dispatched immediately. True to our core belief that customer safety comes first, we maintain an up to date fleet by adding new coaches regularly and periodically servicing all vehicles by Travco's own team of trained mechanics available 24/7 at our service depot.